Today, at the Salesforce Dreamforce conference in San Francisco, we announced the preview of a new Salesforce connector for Microsoft Power Query for Excel. With this integration customers can now connect and work with data from their Salesforce accounts in Excel to build reports, visualize information and discover new insights. You will need to install the latest Power Query update. 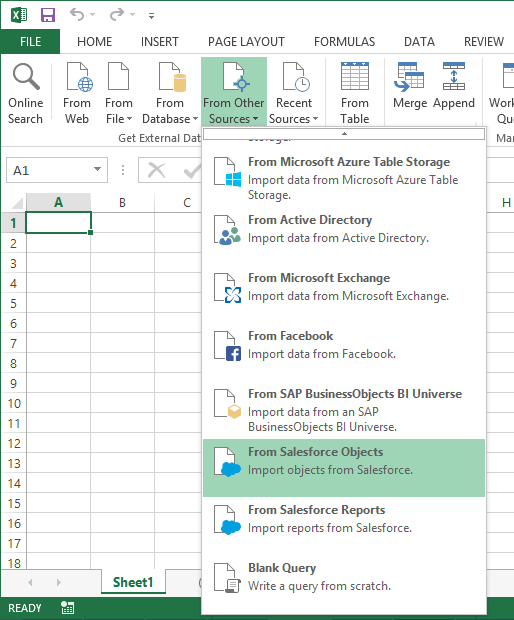 After installing the latest version of Power Query and the Salesforce extension, users see two new sources in the From Other Sources ribbon menu. 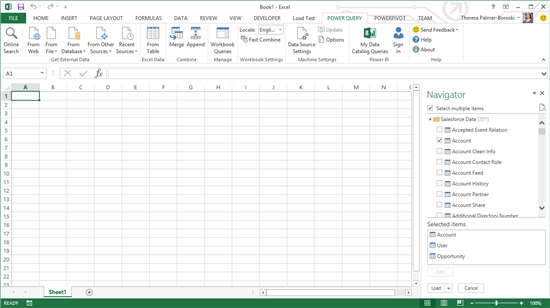 Like other data sources, Power Query connects on behalf of the user and only has access to the user’s data. The Salesforce API is used in a read-only manner, letting users access the data without making changes. 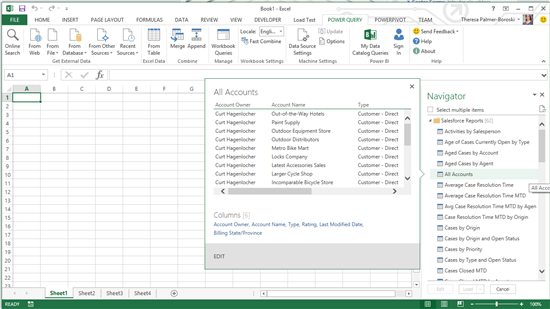 The connection uses the Salesforce OAuth flow, and the user provides their Salesforce permissions to Power Query in order to connect. Salesforce Objects connects directly to the underlying object tables. Selecting Salesforce Objects displays a full list of all objects to which the user has access. 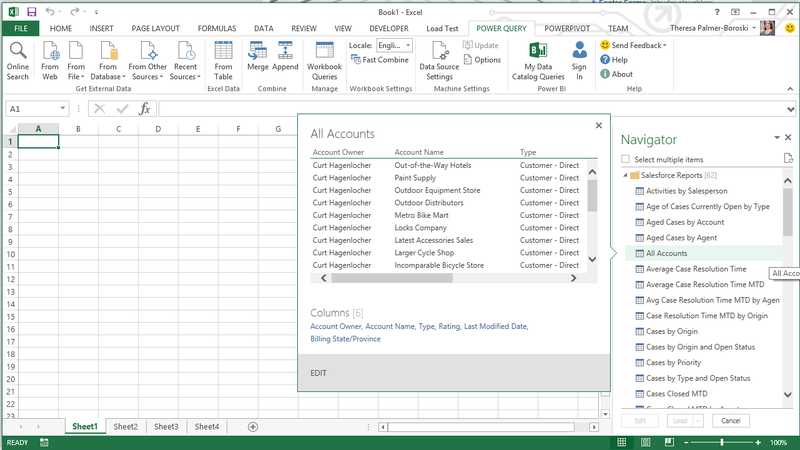 Users can choose one or more tables and import them into the workbook. Salesforce Reports connects using the Reports API and lets users import reports built in Salesforce into Excel. This option lets users access data in a form similar to what they see in Salesforce, without having to connect to the underlying objects and rebuilding these views on top. Once in Excel, users can combine their Salesforce data with other relevant data using the wide range of connectors available in Power Query. Since this is a preview, the extension and feature set may change in the final released version. This extension is always tied to the latest version of Power Query, and may require users to update. Feedback is always appreciated, so please don’t hesitate to send us a smile/frown through the Power Query feedback options.